Date night is a rare thing around here, so when we finally get the chance, we do it up right! 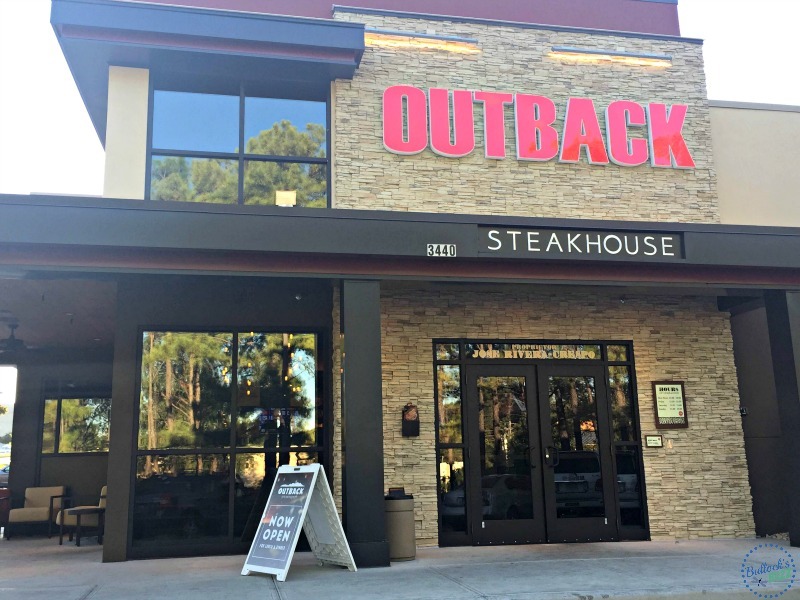 This past Friday night was one of those hallowed occasions, so we decided to head out for dinner and a movie starting our date at the brand new Outback Steakhouse in Hoover. And here are 4 reason why you and your family should check out the new location as well! 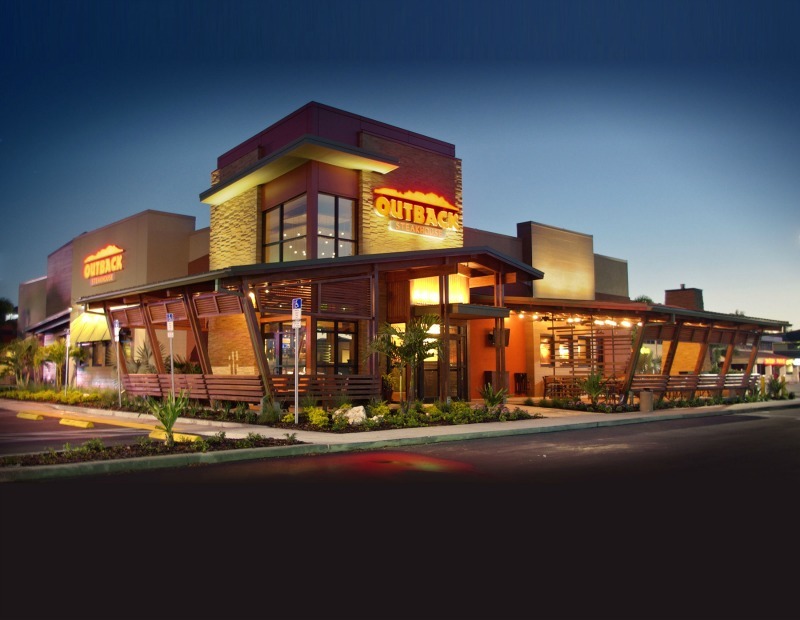 Forget the old Hoover Court location and say hello to the brand new Outback Steakhouse on Galleria Circle! The newly relocated restaurant is now nestled in the heart of Hoover on Galleria Circle; a lively and convenient location where you are surrounded by shops and people. The brand new stand alone building held its grand opening on Wednesday, October 12 with a ribbon cutting ceremony, and the welcoming of 85 new employees. Additionally, a portion of the day’s sales went directly to Vettes-for-Vets, a nonprofit organization that helps Veterans, current military personnel, and/or their family members in distress and need. I love it when a business supports the local community! As we pulled into the parking lot, you couldn’t help but notice the new look. 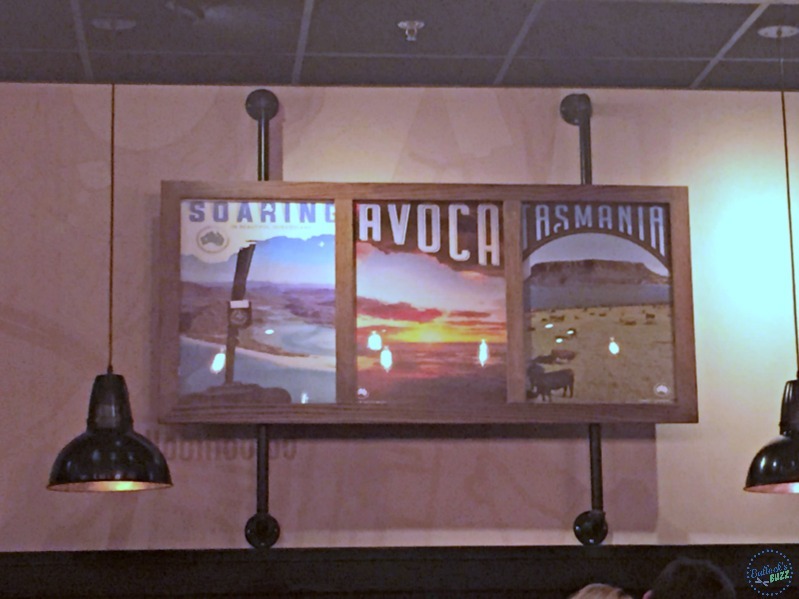 With clean lines, earthy colors and lots of wood accents, the “Modern Australia” design has completely replaced the iconic restaurant building you are used to seeing. There is plenty of parking, including a few reserved spots specifically for carry out orders that are brought out to your car from a separate entrance. A pleasant “waiting” area with plush comfy seating also caught my eye. Speaking of waiting, although it was a Friday night, we arrived early enough to where we were seated right away. Inside, exposed beams, metal legged tables, modern lighting and artwork completed the “Modern Australia” decor, designed to mirror the indigenous flora and fauna, adventure, geography and leisure of modern-day Australia. Another part of the new layout is the comfy, huge booth seating for large groups, and a spacious bar area complete with a community table, and customized seating and furnishings. Despite all of the changes, the atmosphere was still the cheerful, family-friendly one that makes you feel comfortable as soon as you walk through the door. Our server introduced herself within a few minutes. She was kind, outgoing and funny, and despite the fact we were her first table on her first night there, she did a great job. Everything from our drinks to our entrees were brought out quickly, even though the restaurant was beginning to get crowded. In addition to a new look, there were several new additions to the menu as well including Wood-Fire Grilled Flat Iron Steak, Roasted Garlic Filet Medallions, Classic Tenderloin Chopped Steak and more! So many delicious choices it was hard to choose! 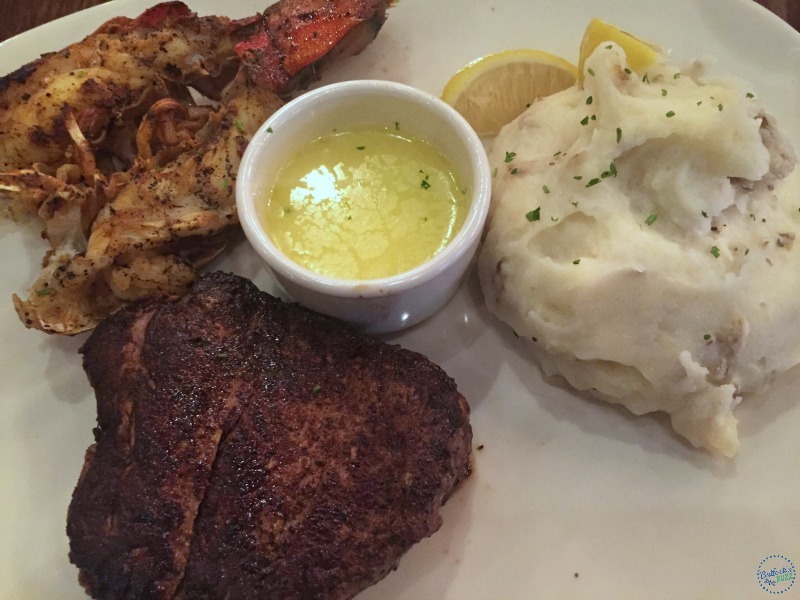 …while I went with the Filet Mignon and Lobster. Both dinners were cooked and seasoned to perfection! TIn fact, they were so good that we didn’t have any room left for dessert! 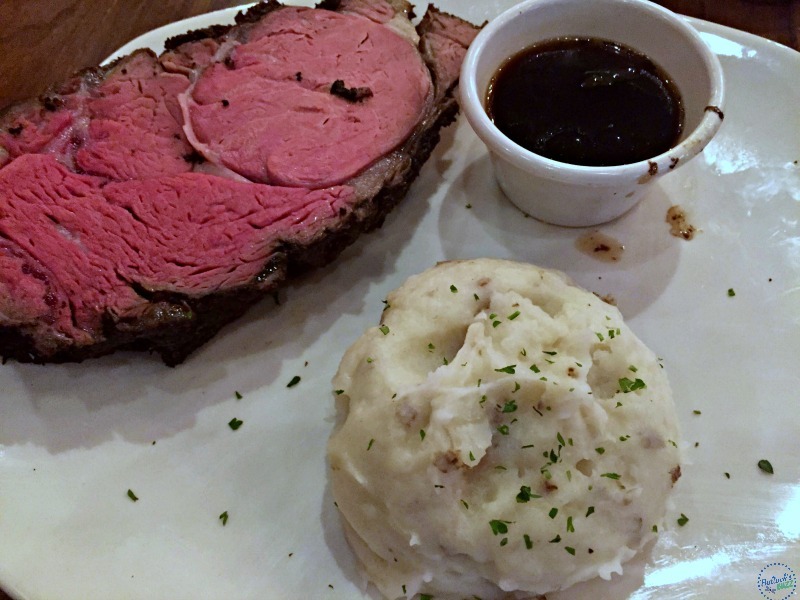 Overall we had a great experience at the new Outback Steakhouse, and think you will too! 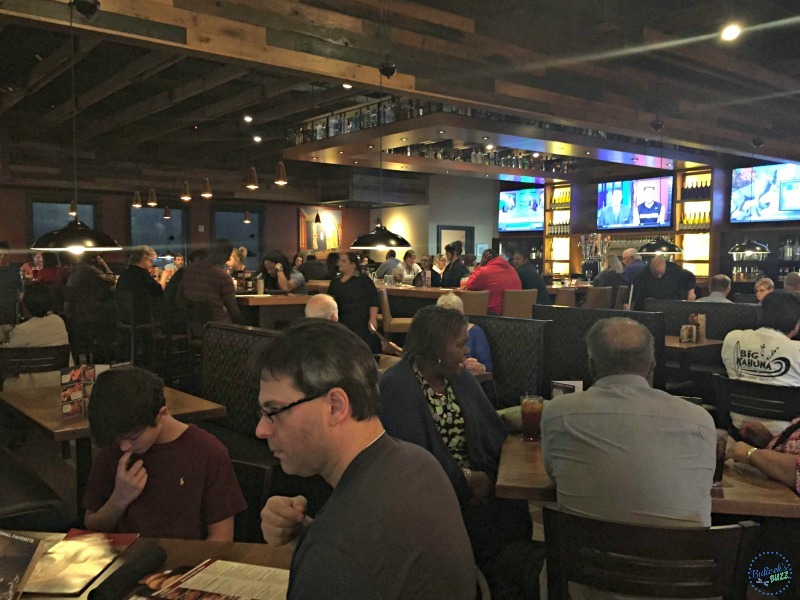 The Hoover Outback Steakhouse is located at 3440 Galleria Circle right next to the Galleria mall. They are open Monday – Thursday 4 pm – 10:30 pm, Friday 4 pm – 11:30 pm, Saturday 11 am – 11:30 pm and Sunday 11 am – 10:30 pm. Head to www.outback.com for restaurant information, menu items and more! And be sure to follow Outback Steakhouse on Facebook and Twitter for the latest promotions, deals and new store openings! I like the Steak and Shrimp on the Barbie and a baked potato. Such good food at Outback! I love the grilled salmon at Outback. Steak and I love their house salad! I really enjoy the bloomin onion with dipping sauce the best. We love to start with bloomin Onion’s and then STEAK!!! My husband likes mushrooms on his, I would love to try the towers! I love date night @outback, it brings back memories of my first date with my fiance. He took me to Outback, we had a great time eating great food!! He’s a meat & potatoes type of guy so he loves the New York Strip, I love anything pasta or seafood. I would love to win this gift card, after having id’s our date nights rarely happens. I like the Sirloin steak. I like their potato soup and their ribs! My favorite dish at Outback is the ribeye steak. My favorite dish at Outback is the Alice Springs chicken. I have to order the Bloomin’ Onion as an appetizer and then a steak for dinner. I love the classic New York Strip steak. My favorite is a blooming onion to start and a steak to follow. 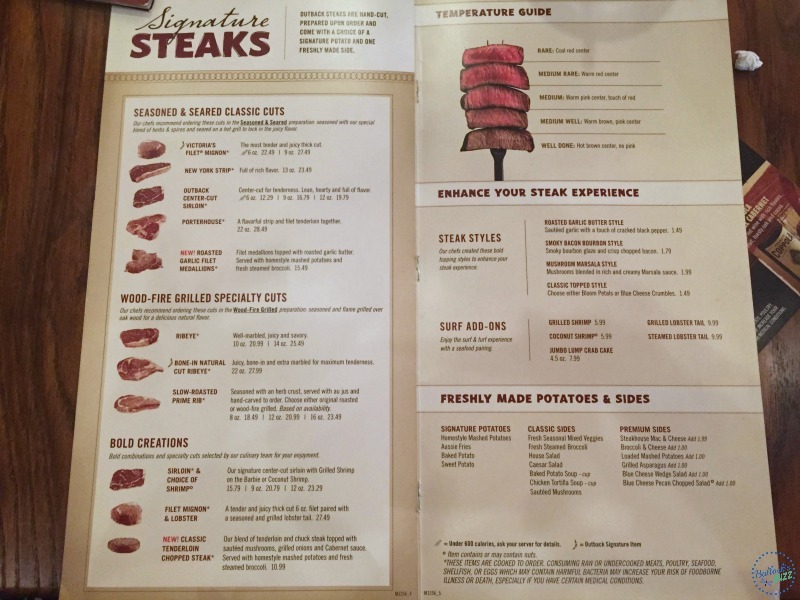 My favorite dish is the ribeye steak at Outback steak house! My favorite dish at Outback is the Aussie chicken Tacos. They are so good. My hubby always goes for a big steak plate. I love their Bloomin Onion and their steaks, well done of course. I love the Blooming Onion. That sauce that comes with it is so delicious! Gotta have a Blooming onion and a steak. Well, I HAVE to get the bloomin’ onion, but I’m a burger person & they have great burgers. The coconut shrimp is amazing, too. Bloomin Onion!! Must-have every time I visit!!! even my toddler son loves it!!!! Now that is LOVE! LOL! I like the Bloomin’ Onion. I love the filet and blue cheese pecan salad. Also the grilled asparagus And iced tea. Yum! Thanks. I love the bloomin’ onion and the quesadillas! My fave is the New York Strip steak!! So yummy! All of their food is so good but I always get the Blooming Onion! I like the Bloomin’ Onion really I could make a meal out of just that! So good! 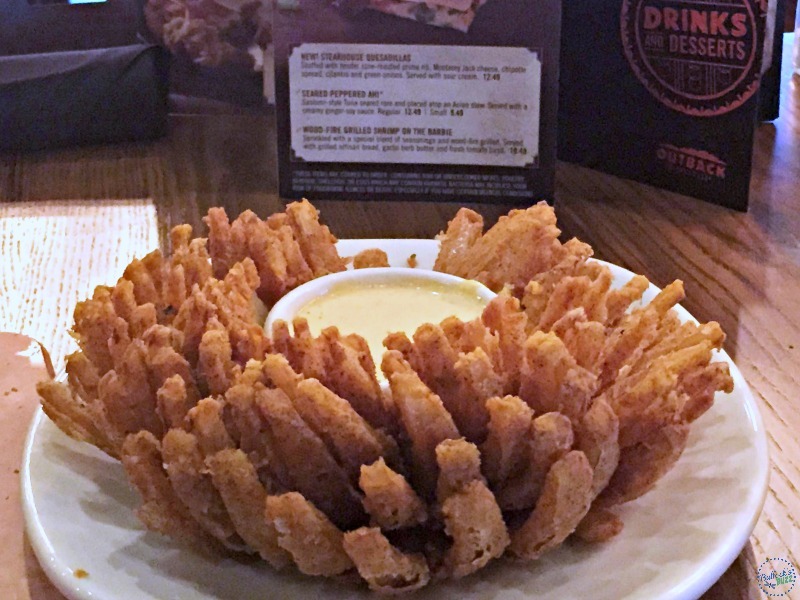 I love everything at OutBack, but my favorite, must have is definitely the Bloomin’ Onion! I have never gone there and not ordered one-even if I’m getting trying to be healthy and ordering a salad, I have to have a taste! I love Outback’s grilled salmon w/veggies! It’s so delicious! I just love there blooming onions , they are sooo good. I actually really love the tuna steaks at Outback Steakhouse…they’re super good! My favorite dish is the grilled shrimp skewers. What an awesome giveaway! TY for the chance.